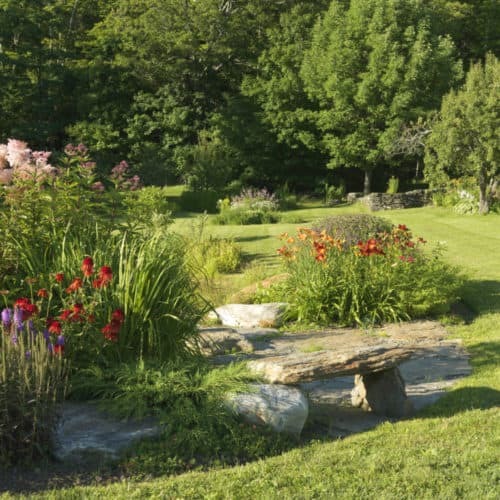 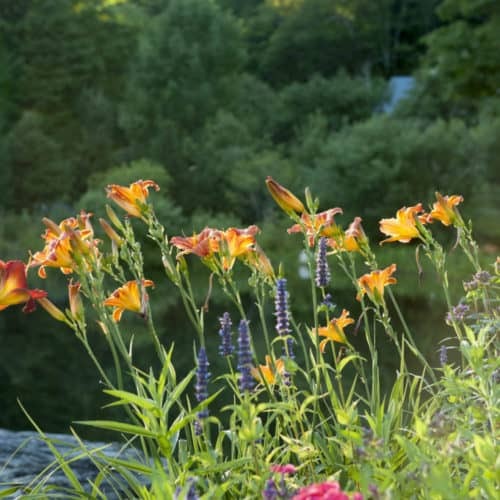 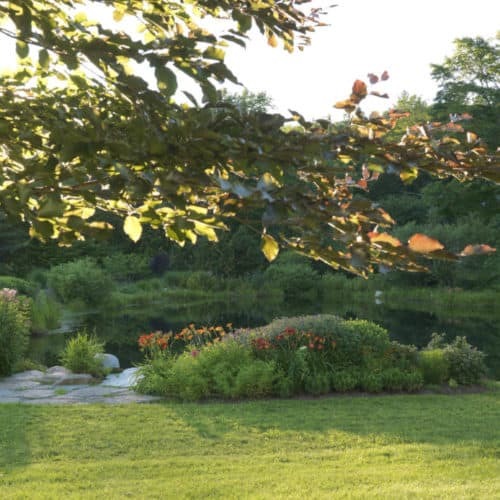 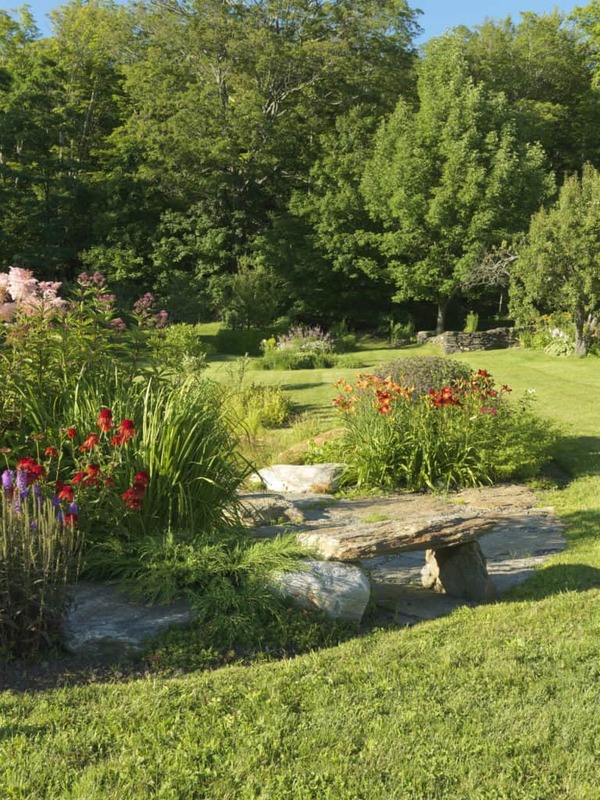 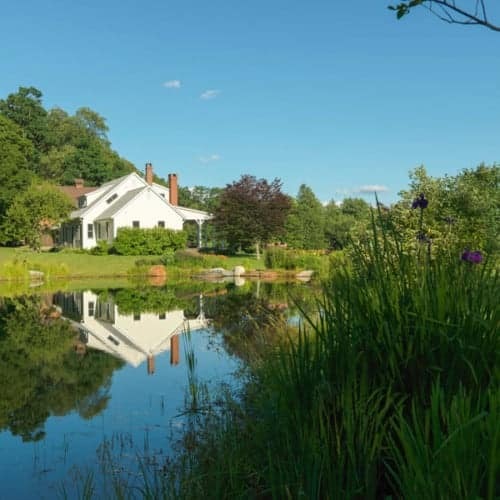 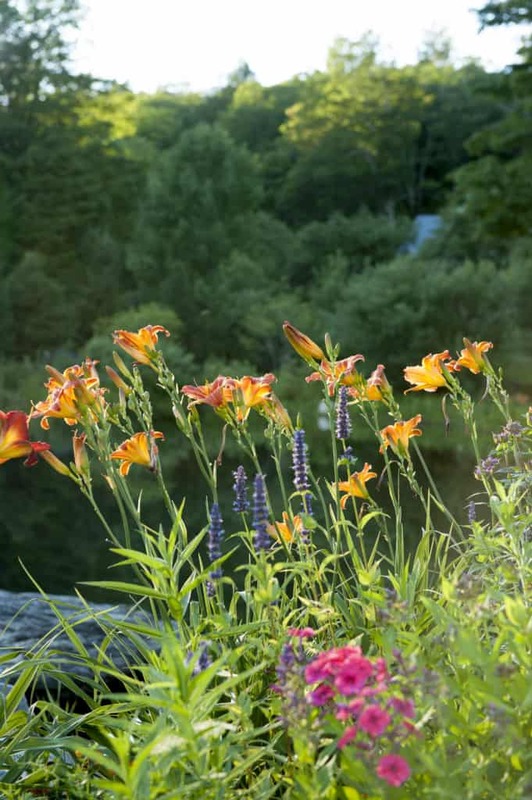 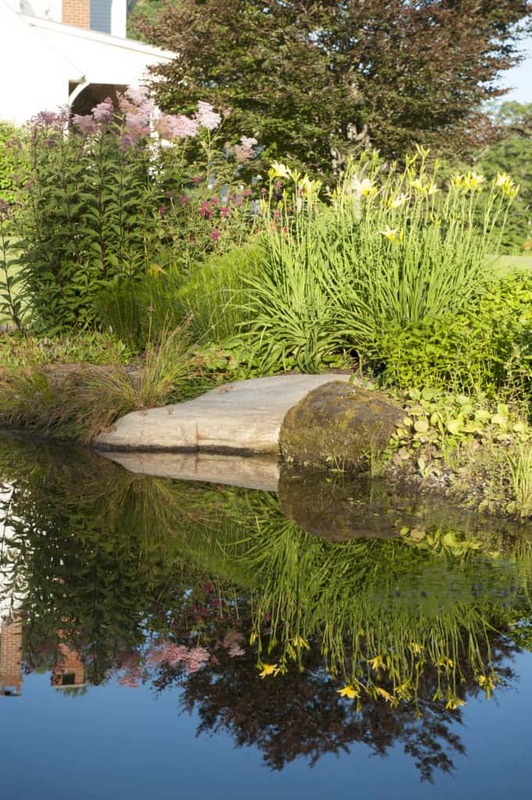 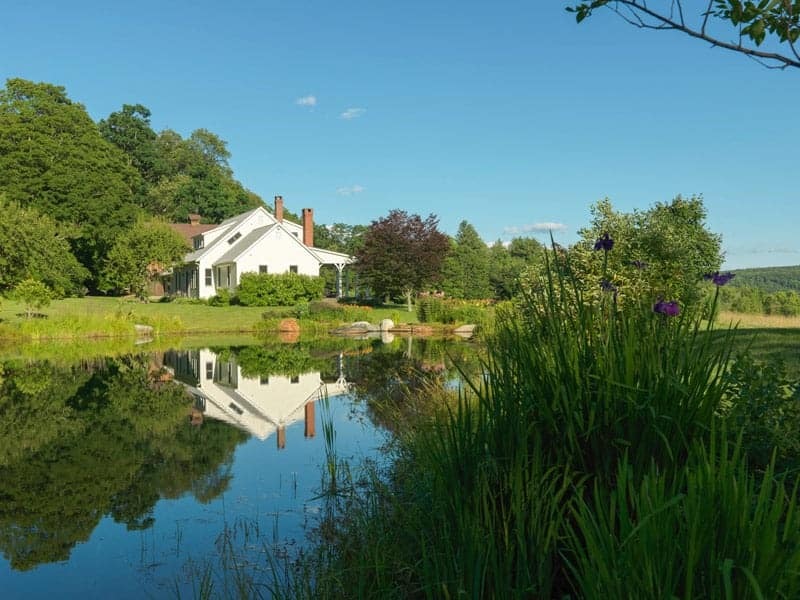 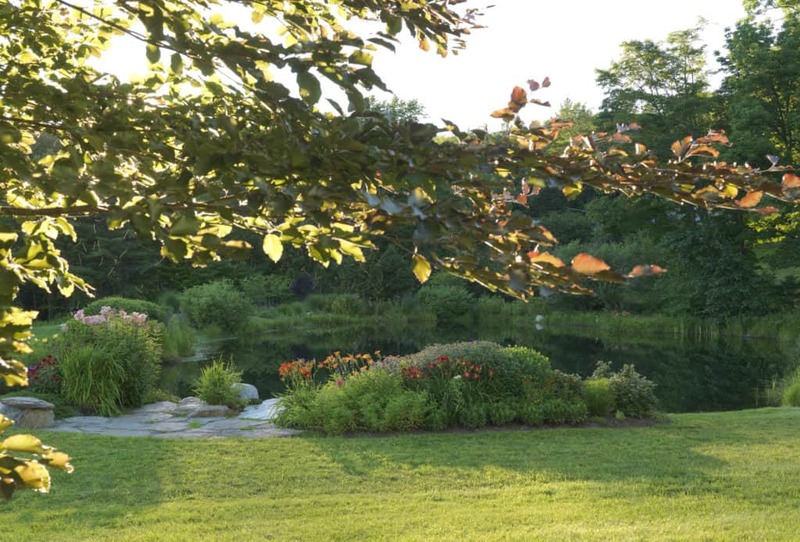 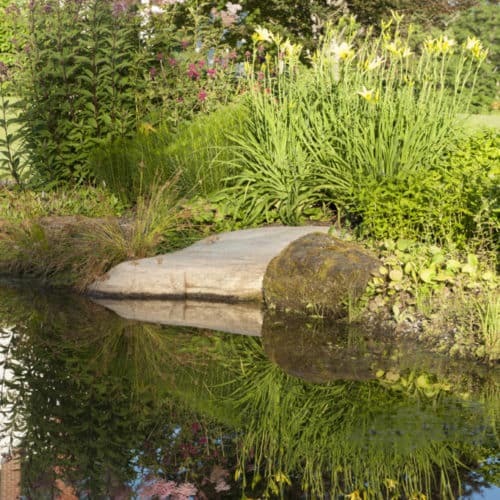 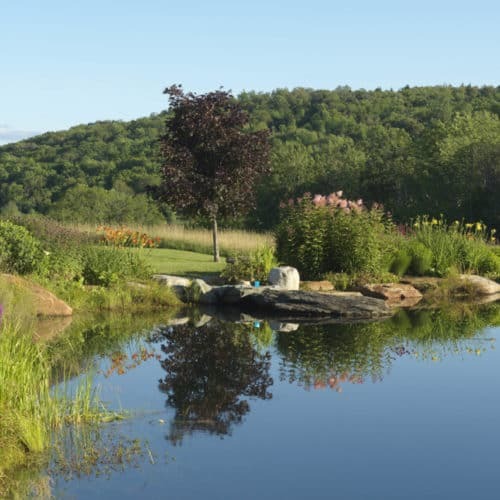 The owners of this Vermont pond asked JMMDS to make it work better both as a swimming pond and as a focal element in their pastoral landscape. 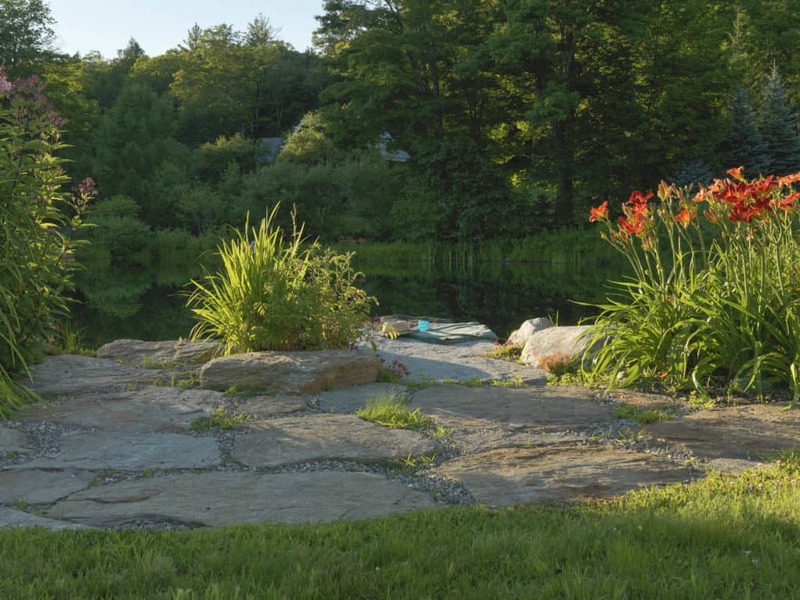 We began by carving out an entry area with existing stones, adding some soft hills, and sculpting the pond’s perimeter into harbors and promontories. 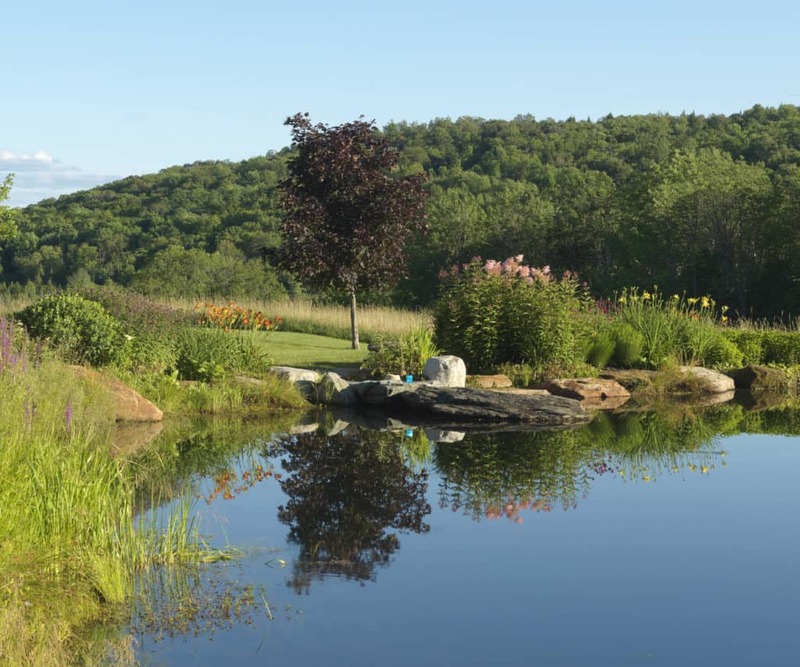 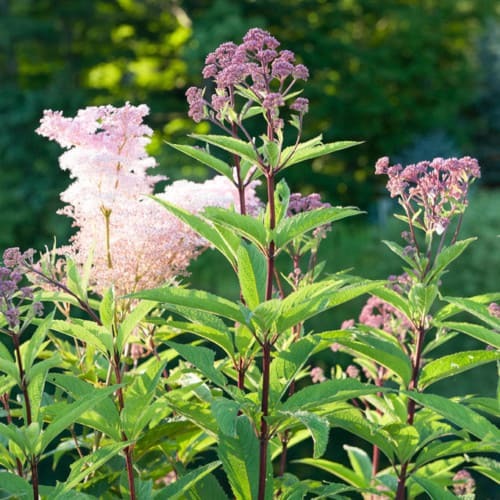 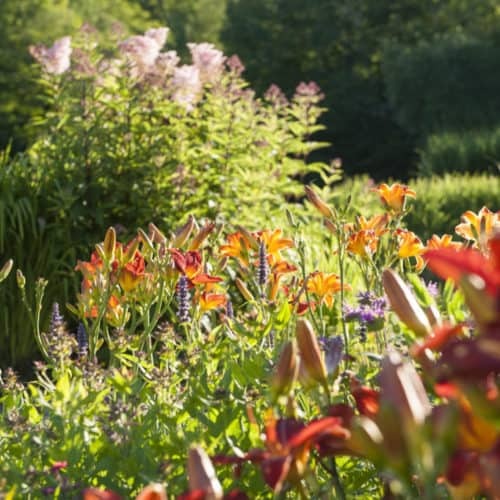 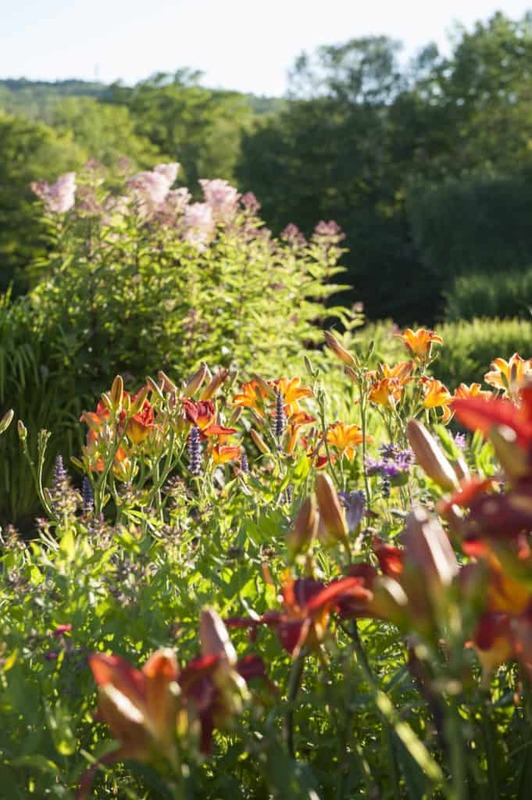 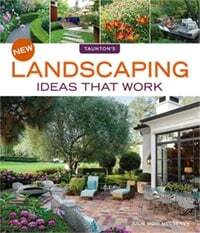 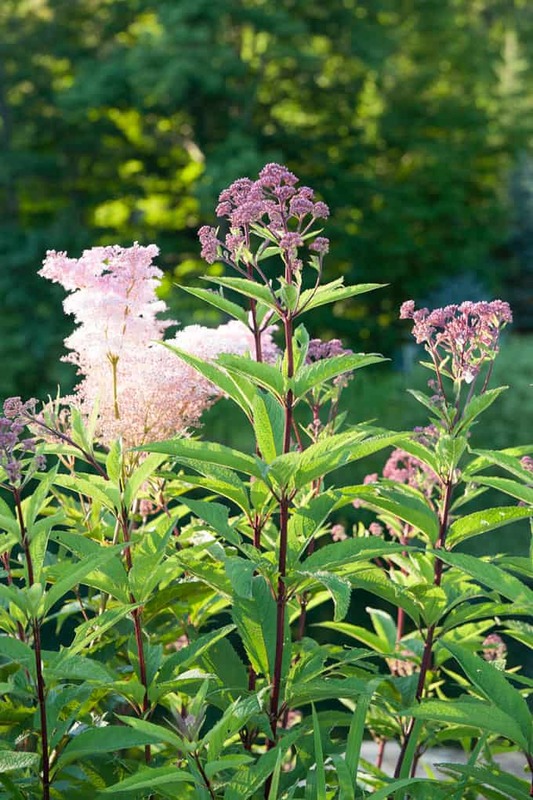 We then planted native trees, shrubs, and perennials that melded in with the beautiful surrounding hills, and we knitted it all together with grassy paths. 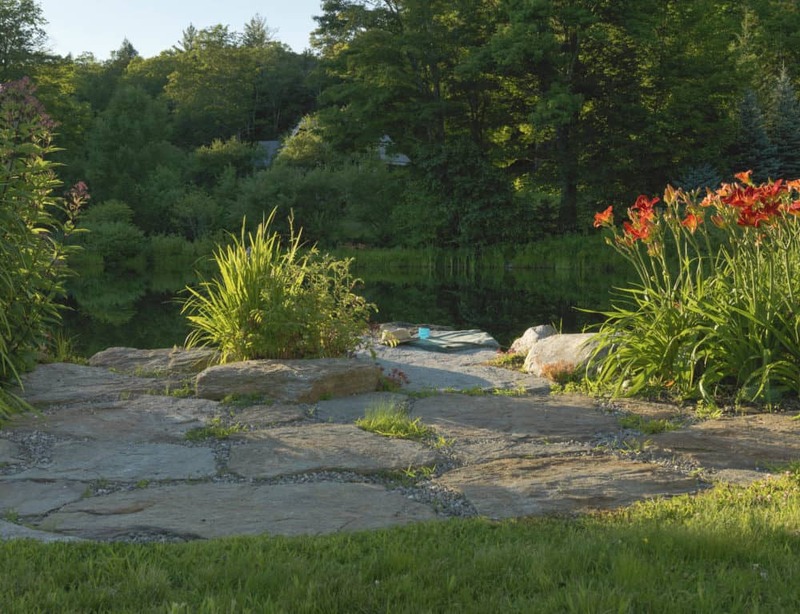 The result works well for our client who loves jumping off the long diving stone for a cool swim in the pond, sitting on the little bench and terrace by its entrance, harvesting blueberries as they become ripe, and picking flowers to fill her vases in the charming updated farmhouse.